Salt Water Taffy is available in many flavors, shapes and sizes but does it really contain salt water? Keep reading below. 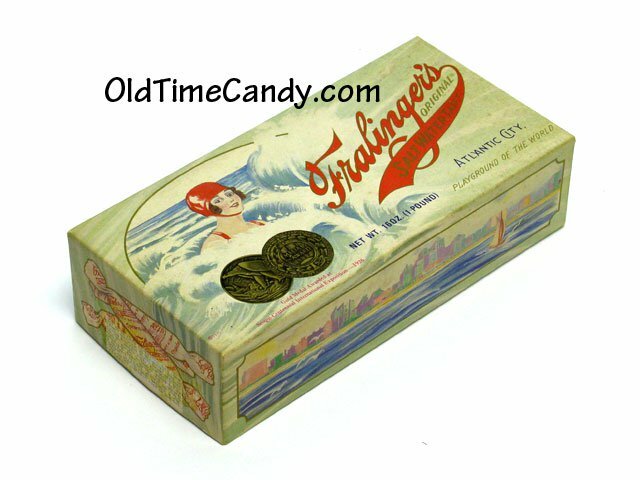 Salt water taffy was originally made and sold at Atlantic City, New Jersey some time in the late 1800s. The origins of the name are unknown. The most popular story comes from a candy-store owner whose shop was flooded during a major storm in 1883. His entire stock of taffy was soaked with salty ocean water. When a young girl asked if there was any taffy for sale, the owner said the only taffy they had was "salt water taffy." The girl bought the candy and proudly walked down to the beach to show her friends. The owner's mother heard the conversation while at the back of the store and loved the name. Salt Water Taffy was born. When I was growing up outside of Philadelphia, PA we would take a trip every Friday to the Jersey Shore. While my parents were divorcing, this was the one constant in my life. Each trip was highlighted by a trip down the boardwalk and the opportunity to bring something home. 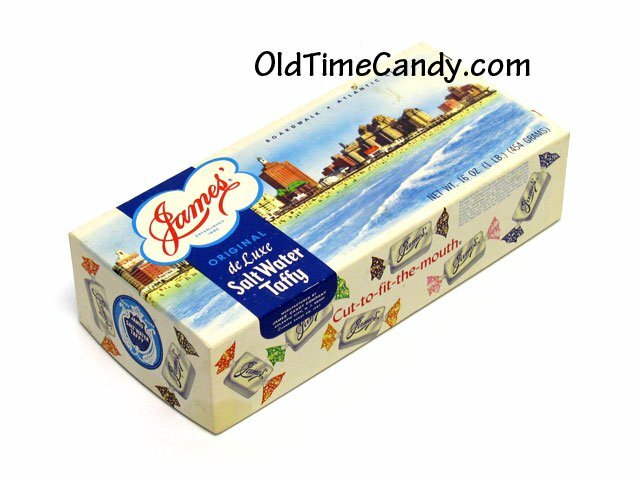 My choice was ALWAYS salt water taffy. I just could not get enough of it. Week after week for at least 5 years, maybe longer, that was how we spent our summers. We loved the shore, but I looked forward to the end of the day most and then the ride home with my fresh salt water taffy. My poor mom was probably fit to be tied due to the 3 kids in the back seat on a sugar high! But we all survived it! We moved to upstate New York and were not close to a beach. It was like going through withdrawal. I would ask in stores if they carried salt water taffy and no one knew what I was talking about. I looked forward to those times we would visit family back in PA and sneak away to the shore again for a day!